Dibyendu Barua Chess Academy & All Sports Management Group is organizing the 7th Chess for Youth Tournament at Netaji Indoor Stadium of Kolkata during 11th August to 14th August 2012. Chess for Youth Competition is the platform for the young chess players, who are under-25 years of age, to show their Chess playing skills and to get rewarded & recognized. It’s going to be one of the largest Chess Playing Tournaments of Asia where more than 500 young talents will be participating. 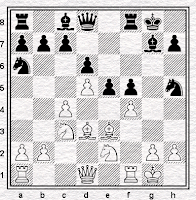 • Dates of 7th Chess for Youth Tournament in Kolkata: - 11th August to 14th August 2012. • Venue / Location of Youth Chess Tournament 2012 in Kolkata: - Netaji Indoor Stadium, Kolkata. • Total prize amount of 7th Youth Chess Tournament 2012 of Kolkata: - Top chess players will get award. As per the news, total award money of premier category of Youth Chess Tournament is around Rs.72 Thousands. • 2012 Chess for Youth Tournament in Kolkata organizers: - Dibyendu Barua Chess Academy Kolkata and All Sport Management Group. 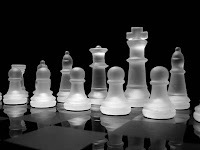 • 7th Youth Chess Tournament 2012 Kolkata format: - Approximately five hundred young Chess players, who are below 25 years of age, will participate in 2012 Chess for Youth Competition where six groups will be formed depending the Age of competitors. Premier Category & Junior Category division will be made amongst the Chess players depending on their chess career & experience. Seven rounds of Swiss System Chess matches will be played in Youth Chess Tournament 2012 and every Chess match will be of maximum one hour in duration. National level chess players across Asia will be participating in 2012 Chess for Youth Tournament. Last year Youth Chess champion Jaydeep Dutta, former Under-14 World Chess Champion Padmini Raut and many other national level & international level Chess players participating in 2012 Youth Chess Tournament to be held at Netaji Indoor Stadium, Kolkata. Premier Group - Champion Swapnil Dhopare, 2nd Position Swayam Mishra and 3rd Position Sayantan Das. Under-6 Male Group - Champion Arya Bhakt. Under-6 Female Group - Tanisha Chattopadhyay. Dibyendu Barua Chess Academy of Kolkata in association with Kolkata Municipal Corporation (KMC) has organizes the 2nd Mayor’s Cup Chess Tournament 2011 in Kolkata where nearly 300 Chess players from Kolkata, West Bengal & outside. The 2nd Mayor’s Cup Chess Tournament 2011 Kolkata is going to be organized at the Kolkata Town Hall from 24th December 2011 to 30th December 2011. It was a grand success in 2010, when Kolkata Municipal Corporation (KMC) started the Mayor’s Cup Chess Tournament in Kolkata for the first time back in 2010. Though, Kolkata Municipal Corporation (KMC) is the main organizer of this 2nd Mayor’s Cup Chess Tournament 2011 Kolkata; but Dibyendu Barua Chess Academy of Kolkata will be responsible for running & managing the Chess Tournament on their hands. • Date Schedule of 2nd Mayor’s Cup Chess Tournament 2011 Kolkata: - 24th December 2011 (Saturday) to 28th December 2011. • Date Schedule of Bengal League 2011 Kolkata: - 29th December and 30th December 2011. • Organizers of 2nd Mayor’s Cup Chess Tournament & Bengal League 2011 Kolkata: - Kolkata Pourasabha and Dibyendu Barua Chess Academy. • Venue of 2nd Mayor’s Cup Chess Tournament & Bengal League 2011 Kolkata: - Town Hall, Kolkata. On 24th December 2011 at Kolkata Town Hall Merry Aan Gomes is going to inaugurate the 2nd Mayor’s Cup Chess Tournament 2011 Kolkata and from 24th December 2011 to 28th December 2011, the 2nd Mayor’s Cup Chess Tournament 2011 Kolkata will continue amongst the 300 competitors. The winner of 2nd Mayor’s Cup Chess Tournament 2011 Kolkata will receive prize money of Rs.1 Lakh 30 Thousands. On 29th December 2011 & 30th December 2011, at Kolkata Town Hall, after the 2nd Mayor’s Cup Chess Tournament 2011 Kolkata, Bengal League will be played amongst the Chess players who will participate in Bengal League 2011 in groups. The winning Group of Chess players of Bengal League 2011 Kolkata will get prize of Rs.50 Thousands.